Gary Wright - Call on Dolly! 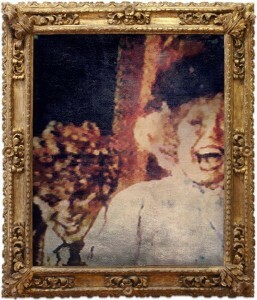 Carol Channing’s father used to have an adage, Be careful what you set your mind upon for you will surely achieve it. Show “business” is not always what it is cracked up to be as you will see from Gary Wright’s story. When Gary heard that they were looking for Barnaby in the national tour, he contacted his agent and said, “Please submit me for this.” Gary found out that the casting director, Mark Reiner, had rejected him even though the casting director didn’t even know him! Gary had done a summer stock production (see below) and knew that he was really perfect for this. He had the confidence to really push for this. The agent had submitted Gary but when Gary followed up, the agent said he had never heard from the casting director. After an exchange with the casting director, the agent said that the casting director had said, “I know him and he’s not right for this.” Gary knew otherwise! Not only did the casting director NOT know him, Gary also knew he was RIGHT for the part. Gary’s response was “Hogwash! I have not been in the city that long. That guy doesn’t know me.” The agent came up with a ruse. He put together a package of submissions and asked Gary to deliver them personally.He actually put together a package of working actors who were not available and others that were just night right. The agent suggested that Gary deliver the package at the agent’s office so the agent could see him and perhaps increase his chances. Gary went to his office. He didn’t have a secretary. Gary said it was also possible that he even lived there. Gary rang the bell, saw an eye through the peephole, and was asked why he was there. When he told the casting director he was there to drop off submissions for Dolly, the casting director told him to just leave them in the slot. Gary told him that he was told to deliver them in person. The casting director opened the door and looked him up and down. Gary told him who he was and that he really wanted to be seen for Barnaby. He went on to say that if the casting director had seen him before and thought that he was not right, he wanted to prove that he was. That was the beginning of somewhat beautiful thing. As so many before him, he got his Equity card on this show. He did several rounds of auditions before finally landing the role. It took over a month of call backs. This show was in anticipation of an HBO special of the show. Alas, it never happened. Hello, Dolly! was not exactly new to Gary. He had gone to the Cincinnati Conservatory of Music. Gary was also a theme park entertainer. He was cute and able to work at a young age. He desired something more. He had always been an actor. The theme park world is not as “actor-centric” as he wanted. A lot of theatrers would go to the Conservatory to audition people. The WagonWheel Theater is a case in point. This was a theater in the round that dated back to 1961. It’s in Warsaw, Indiana. It’s just a nice drive from Cincinnati. 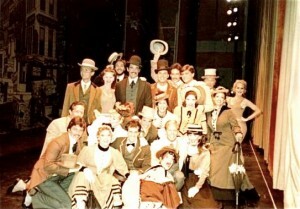 One season, the theater was doing Grease, The Robber Bridegroom, Company, and Hello, Dolly! The director came in to cast the season and Gary was lucky enough to do one of those traditional summer stock seasons where you do different shows. Gary had previously had numerous experiences as an actor with Theater Winter Haven in his home town, even winning an acting award for his portrayal of Clarence Day Jr, in one of their award winning productions of “LIFE WITH FATHER“. After a previous summer at Nashville’s Opryland, this was a better chance to get back to his traditional theater roots. 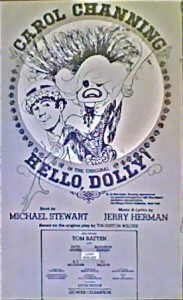 Being cast in Dolly!, he went back to the original source material, The Matchmaker, for inspiration. That was also the first time that Gary heard the score. He talks about hearing it with a full orchestra is a whole other experience. Some of Gary’s favorites are the segue way music between scenes. When Ermengarde goes from playing a tuba into the first scene between Barnaby and Cornelius, for example. Those are the kinds of things you really appreciate as opposed to just hearing the cast albums. The sound of a tuba playing off pitch into the orchestra coming into play. It prepared him for the Channing tour. 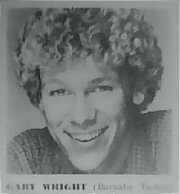 The tour in which Gary appeared in as Barnaby Tucker started in Houston in 1982 with Carol Channing. He was new to the cast. Both Cornelius and Irene were also new, Elizabeth Hanson and Davis Gaines. Since the company had already been touring, Gary, Elizabeth, and Davis had one week to rehearse. Carol came in towards the end of that week to rehearse their scenes with them. Lucia Victor directed this production. They were instructed in the “dos and don’ts” of the production. How to interact with Carol off stage. They were instructed not to get too “chummy” with Carol. KT Baumann, who played Minnie Fay, was also in on these rehearsals. It was just the four of them going through their scenes until Carol came in. As stated before, this was originally supposed to be filmed for HBO. Therefore, it was one of the splashiest productions yet of Dolly! They pulled all the stops out in terms of the opulence of the production. They played huge houses. It was a little odd that three new people were brought in specifically into a company that was already on tour. Nobody was really contracted for HBO, but it was speculative. It was definitely something his agent knew of and it kept coming up in the casting. Gary was in his early 20s. Although Barnaby keeps saying in the show, “But I’m only 16″, over the years they’ve cast actors up to 40 if they can”pass”. The actress who played opposite Gary was over 40. Although, Minnie Fay never gives her age in the show as Barnaby does. It kept coming up in the audition process that the tour would probably end with this filming. They wanted to get back to a Barnaby that was closer to the age in the script. Gary doesn’t remember what city they were in, but the official word came in that HBO had backed out of the project and that there were no future plans to do this. However, they decided that they were going to extend the tour by a couple of weeks and have a “splashy” send-off with a run in Hawaii. It was an odd end to this tour. Sporadically, the cast would receive notes telling everyone they were doing an “especially nice job today”. They were told that additional producers were coming in in hopes of filming for television. It just never happened. Gary calls Dolly his New York state debut. It was in New York but far from Broadway. It was in Rochester at the Kodak Theater. The Eastman Music School, a beautiful theater, a beautiful space. He remembers thinking, “Oh my Gosh! What have I gotten myself in to?” The hugeness of these arenas where Hello, Dolly! played, Carol would wear several microphones. She also had several spotlights all aimed at her. He also loved when he got into Carol’s spotlights because they were so bright! It made everyone else on stage feel as if they were in relative darkness when not in the spill from them. If you were in a direct scene with her, there was balance of lighting. Otherwise you were in shadows. He remembers hearing that “booming sound” that emanated from Carol because of all of those amplified mics she had on. And seeing the burn of four “super troupers” all aimed at Carol. This was a long way from the more accessible, natural, more intimate theater he was used to. I asked Gary for his thoughts on Carol Channing. He says she is so amazing at what she does. She is just so unique. He loves sharing his stories about his experiences working with Carol. When people find out that he toured in Dolly, there is always an incredible interest. The most common question is “Is she really ‘like that’”? There were a couple of times when she “went up” on her lines which was really funny considering how many times she performed it. There was one time, Gary thinks it was Omaha, where there was a “power” issue and they had to cancel the show. The Associated Press was called because it was a huge deal that a Carol Channing performance was being cancelled. She truly is the last of the “old time” troupers. Gary says when he was on tour, and she was doing television appearances, he was always cracking up because she did that “daffy, eccentric” persona so well.A highlight of his stint in the show was meeting the book’s writer, Michael Stewart. He felt an immediate bond with Michael. 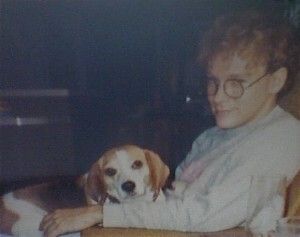 Michael had been partnered with Jerry Dodge, Dolly’s original Barnaby Tucker. Without discussing it, he felt as if Michael instinctively knew what he was going through. Michael was adamant about some costume changes that had been made for “Barnaby”. Everyone was called for notes on stage after the show that Michael saw. His first words were, “What have you done to Barnaby and Cornelius’ costumes? The costumes were looking too slick and upscale for guys that work in a hay feed store. They took some kind of a spray paint with dye and “dirtied” them up. They added patches. They shortened the bottoms of Barnaby’s pants. They were wearing spats and by shortening the bottoms of the pants, and pulling the pants up above the spats, it was very unattractive. It made then look like they had hooves. Davis’ costumes were not as bad. It was nice to have Michael come and call the company on this issue in front of the company. After that, there was a slight alteration, but not much. They lifted some of the spray paint “cleaning up” the costumes a bit. They started putting in a thick layer of scratchy wool in the inside lining of the pants! Gary is one of these performers that gets over heated and Barnaby has to be under the table in the hat shop for long periods of time. He was melting under there. He was breaking out and disturbed about whatever reasoning they had for doing this. There was no explanation as to why. From a physical stand point, he didn’t need any more “weight” added. Davis Gaines is the opposite. He has very thin legs which looked great for Cornelius. The image looks great of Barnaby looking smaller than Cornelius. Over the years that has been played up dating back to Charles Nelson Reilly being very tall. Davis is not extremely tall and Gary is not extremely short. Gary did not desire his legs to look fatter and he especially did not want to be hotter. He was constantly cutting out the lining which created a terrible professional relationship with the shows wardrobe aupervisor. The wardrobe supervisor was being told from Carol and Charles to keep it in. That was one of many factors that made Gary reach his fill. Two more highlights for Gary was going back to Cincinnati and playing there while some of his classmates were still in school. That was a very early exciting experience. While there, he did a local television show, The Bob Braun Show, to promote Dolly. Rosemary Clooney, who was also from the area, was also on that show. He didn’t just do an interview. He (and Rosemary) also sang on the show. Another highlight was playing Orlando. Gary is originally from Florida. A lot of people came over from his hometown to support him. Gary’s mom was excited to meet Carol and it was really cool. Carol loved Gary’s mom and so she treated Gary really great for a good week following that meeting. It was a good thing to experience. This tour was during the Charles Lowe years. Whatever factors were going on in her life, she really wasn’t all that kind to Gary. To be able to see that she had the capability of being nice to him was a real treat. During the “Dancing” according to Gary, number, there was this little interaction between Dolly and Barnaby, where she takes him out the hat shop set and arranges him to be part of a group (this is done upstage and largely silently) while Cornelius and Irene Molloy are having their “moment.”) Well, Carol would use that connection together to go through a little subtext with the awaiting dancers in a circle by presenting Gary/Barnaby to them with “Here, include this young man in your group?” but over the months, she had grown accustomed to just dropping his hand and not concerning herself with arranging introductions for Barnaby. After meeting his mom, who she thought was precious, she, for a few days, would be back to warmingly presenting Gary to this group and even breaking character by saying to him “your mom is soo sweet…” He says he knows this is one of those silly small moments that of course no one in the audience was privy too – but it is deeply affecting to the company who “would always have to be open to receiving whatever she chose to give or just pretend that everything is hunky dory even without. : To this day Gary says he can still just see the awkwardness in the groups faces…all trying to just get through and enjoy the process of performing the show while also trying to ignore some of the “unpleasantnesses” that might come with the territory. Gary signed on for a nine month tour. Gary was in the tour for about “8.75″ months. When the HBO idea fizzled out, a couple of weeks in Hawaii was “tacked on” to the end of that tour. As far as Gary’s contract was concerned, it was a matter of renegotiating. It was not something that he contracted to do. The rest of the cast had contracts that would play out the run. For Gary, his contract was slated to end. Pokey! Gary’s first beagle. He got her right after leaving Hello, Dolly! He had been very influenced by the Frances Farmer story and the fact that she had turned to pets in order to help take the focus off self that many actors have to contend with. He had kind of “had his fill”, had had his “experiences”. He had had a lot of highs that had come with performing the show, especially performing in such large arenas. He was also overwhelmingly wrapped up with the day in day out problems that came with the show. He was struggling with some of the “kindness” issues. And a lack of respect from some of his fellow performers. He wanted out. He gave his notice which would still allow him to go to Hawaii for the first week. The “company” was very resentful that he was choosing to leave. There was a guy in the chorus who was Gary’s understudy. Unbeknownst to Gary, they started rehearsing him. Without any warning, he was let go BEFORE his “notice” time had elapsed…two weeks. It all came as a big shocker. They were in San Francisco. He had spent the day taking one of the bus tours up to the Redwood Forest. When he came back to the hotel in the late afternoon, a blinking red light was on his phone. He had a message to call the company manager who informed him that his role was over. All of his things from his dressing room were packed up for him and left in a box at the Hotel lobby desk. He never even had the satisfaction of a “closing night.” He describes it as that moment out of Dreamgirls when Effie has her harsh confrontation with the fact that she is not going to be in the group anymore. He was devastated. He had no warning. He didn’t even have a “goodbye” with the cast. He felt as if it had been ripped away and left without any closure. He went home to Florida to be with his mom. He contemplated whether or not he even desired to stay in this business. He went out and adopted a dog to shift his focus and has had a dog ever since. He admits that he wasn’t sure of how much to reveal here. 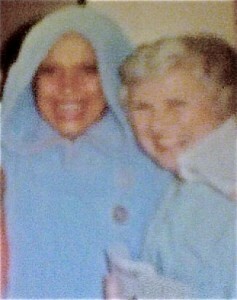 He wants to re-emphasize the positives that have been stated here, the great experiences, working with Carol Channing. He is grateful to have been a part of this. It gave him some tremendous highs but also created some of the metaphors for his life. He feels spiritually that if we are given these incredible highs, there somehow is the flip side of the equation, these deep lows in order to give us a heavy dose of reality. No one can ever take away from him the experience of being a part of this amazing legacy. Gary does not consider himself a quitter. When he hears people describing quitting something, he knows that it may feel good to just do that in the moment. To say, “I’m leaving this” may feel good in that decision. Ultimately, you don’t win. 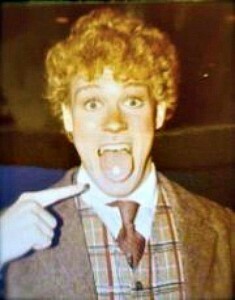 Whenever party talk comes up and someone inevitably says, “Gary did Barnaby Tucker with Carol Channing in Hello, Dolly!”, there’s always the harsh reality of it didn’t end that great. He knows that there are some company members who would say “He was fired.” because of the sense of how it all ended. He remembers his agent telling him that some of the “big wigs” (the Shuberts, the Nederlanders) had said that he would never work again for doing this to Carol. They were seeing it as something bad he had done to Carol and the show. That wasn’t what Gary had expected to receive. Recently, he was going over a list of states he had visited. When he came to Hawaii, he says that was a mistake. He feels he could have dealt with it. He could have dug in and found whatever he needed to make it work. The truth of the matter is that when he gave his two week notice, he had no idea it would end this way. He didn’t stick with his agent long after this. He feels that his agent let him down. His agent was prepared to help him sign his two week notice. It was not a matter of quitting as much as it was a decision not to renegotiate the initial contract. He was young. He would hope that the “professionals” could have warned him of the repercussions of his actions. His agent knew that he was unhappy. His agent was pretty neutral. He was in New York and Gary was in San Francisco. Gary was just trying to make the best of the situation he was in. When Gary was expressing his unhappiness to his agent regarding Carol, the agent related that he had a client who experienced the same feelings working with Yul Brynner in The King and I, someone who had had an equally long run with such an iconic role and dealing with newer younger actors coming and going. The company was apathetic. They had seen shenanigans, for example, with the actress who had played Ermengarde, from the company before he had joined the company and how she was treated. When you’re in the midst of experiencing it, you just hope it will go away. You know you should just deal with it. It was new for Gary. He had always loved doing theater and loved the camaraderie, being parts of companies and ensemble performing. This was a different situation. He did the best he could do at the time. In retrospect, he wishes that he could relive that moment and decide to “hang in there.” Things add up. As artists, we are, by our very nature, sensitive.It was an odd end to this tour. Keep in mind that the cast had been listening every night to Carols curtain speech saying “We are going overseas, to ….Join Hello Dolly and see the world!” Sporadically, the cast would receive notes telling everyone (they were doing)/”do” an especially nice job today. As mentioned earlier, he had done a summer stock production of Dolly. Other than that, he has also seen a dinner theater production where someone had obviously been influenced by the movie. Mary Ellen Ashley, who I have written about, happens to be a dear friend of Gary’s. The biggest change Gary has seen in the business since first going on as Barnaby are the ticket prices. It has shifted also to performers who feel the pressure to be more “perfect” since people are paying more. Gary, you are perfect. Thank you for being open and honest in terms of sharing YOUR experiences on Hello, Dolly!